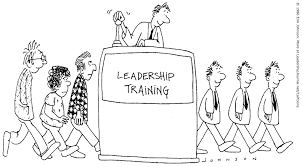 Leadership: can you put it in a wheelbarrow? Over the next two years, the RSA, in partnership with Power to Change, RIO and Sheffield University Management School, is delivering a leadership programme for community business leaders and will be exploring the unique leadership challenges faced by those leaders. RSA Fellow Stephen Clare holds the issue of leadership very close to his heart which he is exploring in a series of blogs over the length of the programme. The Tao Te Ching praises self-gained knowledge with emphasis on that knowledge being gained with humility. So in all humility…in my last blog, I did the easy bit. I talked about what leadership is not. It’s much more challenging to talk about what leadership is. That’s partly because leadership is something that is context specific and partly because it changes over time (or at least the popular understanding does). However, the great leader syndrome is also still prevalent in the world of business – but is becoming increasingly redundant. It reflects the needs of the industrial age, of massive hierarchically organised and integrated businesses, of command-and-control, of the big boss. It’s the sub-text to what we see in Alan Sugar’s The Apprentice. But it has less and less relevance to the world of work today and certainly none to the world of community business. Indeed, it has been predicted that 75% of the USA’s S&P top 500 companies will have gone, merged, or contracted by 2027 and there’s no reason to expect anything different with the FTSE 500. We’re in a place where neither age nor size nor reputation nor even current sales guarantee that a company will be around tomorrow. We’re seeing a new industrial revolution based on technology and networks which arguably represents “a new mode of production emerging in the middle of the most advanced economies in the world.” And with this disruption comes new solutions and a new leadership based on collaboration, staff on demand, community and crowd, algorithms, leveraged assets, engagement and what’s been called a Massive Transformative Purpose (MTP). It’s a different world to that of community business but it’s also a world that we need to understand and learn from – both the good and the bad. Anyway, you may have been wondering about the title of this blog. ‘Where’s the wheelbarrow?’ What’s that got to do with leadership? Today, many of us are ‘swimming in the same river’ – trying to cultivate collective leadership in diverse settings around the world, even while our larger cultural contexts remain firmly anchored to the myth of the heroic leader. In addressing this challenge, we need to acknowledge that ‘leadership’ is a verb and not a noun. That’s a really important point. Leadership is an act of doing something and not a ‘thing’. You can’t put it in a wheelbarrow! That, for me, is the starting position in understanding leadership – it’s about taking action, it’s about doing something, it’s about changing the world in some way. And leadership is also an act of humility – an act of service to others. In my next blog, I’ll be looking further into what’s been called adaptive and systems leadership and the core capabilities that can perhaps best address the challenges and opportunities of the coming century.